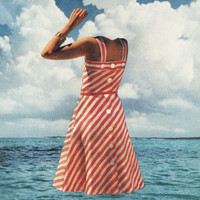 Freshly signed to 4AD, Baltimore-based synth-pop trio Future Islands are back with their fourth studio album, Singles. We gave singer Samuel T. Herring a call to hear all about it. You recently joined 4AD. How are you settling in? Really well. Everybody that we’ve met has just been very kind and very excited about working with us. You know, they’re really just allowing us to do what we do – which is make music and play a bunch of shows – and getting our record out there to people on an even bigger scale, which is huge for us. Add to that the history of the label, and the really great artists there at the moment, and we are just really excited about it. I mean, who wouldn’t be excited to be a part of that roster? Had you already recorded Singles before you signed the deal? Yeah, nothing was set in stone [with 4AD] until the music was done. We wanted to be able to create an album without any interference from any label, because once you sign a contract, the pressure starts to build up. You know, we recorded all our albums out of our own pockets, but our last album was made under heavy duress: there were only about three or four months between going into the studio and releasing the record into the world. So this time around we decided to do it all by ourselves. Honestly, despite that pressure, we’re all still very, very proud of On The Water: it’s a great document of a certain time in our lives. But we could have worked on it for at least another week. So how did the creative process compare on Singles? Well, to begin with, we took a break! We just wanted to let the music come to us instead of pushing out songs between tours. You know, we pay our bills through staying out on the road, meeting our fans and making new fans first-hand. That’s just a part of who we are and how we like to do things because if you really want something you’ve gotta work for it. But by September 2012, we had been on the road for just over five years straight, and put out two albums and a ton of 7" singles and EPs between tours. So at the end of November 2012 we just stopped booking shows and went back home. Then, in February of 2013, we went down to our home state, North Carolina, hired a little hunting cabin and started demoing songs, before going to the studio in early August. There were a couple of shows in the middle, just to see how people responded to the new material. You see, we’ve never written an album that wasn’t road-tested because you find the heart of the songs when you’re on stage. You can see where the emotional twists and turns are by looking in people’s eyes. So I guess we were done recording mid-September, and we mixed through October. Sonically, it feels sleeker than your last record. Was that the goal? We’re definitely still about the dirtiness of recordings, but I think the songs are reflected really well in this style. This is also the first album we’ve recorded in an actual studio. Our first album was recorded in a skate park in Cleveland, the second album was done in the living room of mine and William’s house in Baltimore, and the third album was done in a friend’s living room. We recorded with our friend Chester [Endersby Gwazd], with this kind-of portable recording set up. There’s something special you capture when your record in an old house, because it has its own sounds: this living, breathing quality where the dust floating in the room is like a ghost walking through your microphone. At its most honest, Future Islands is a live band, and at a live show there’s so much more sound than what is coming directly from a guitar. You know, it’s the way an amp blossoms sound into a room; the way it reflects off of people; the sound of people’s footsteps or screams and cheers. [Using a portable set-up] we felt we were able to capture that, but we wanted to experiment. It was very interesting to be in a studio, and I’m excited about how [the album] turned out. So how did you come to work with producer Chris Coady? Chris is friends with our bass-player, William, and he’d expressed his interest in working with us for a few years. We were actually slated to record the album with Chester but he had a conflicting recording session, so we ended up calling Chris. 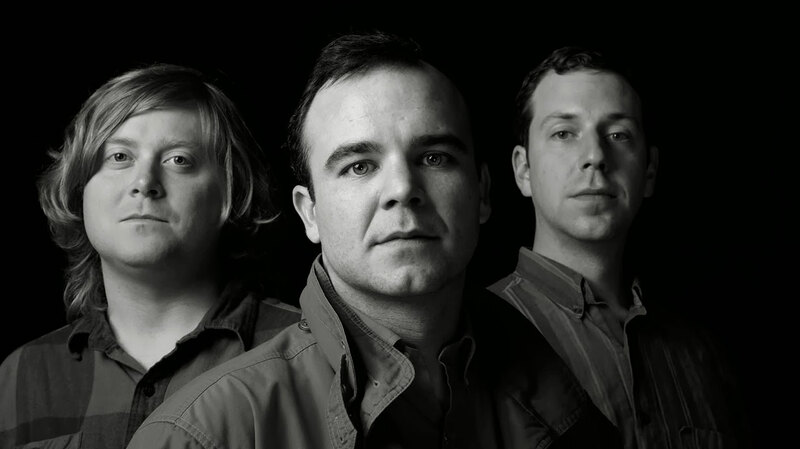 It was funny because we asked him if he wouldn’t mind renting a house and doing it the “Future Islands way” and he was like, “Erm, I would like to do it in a studio…” But he recommended this really cool place in upstate New York, about 10 minutes away from Woodstock, called “Dreamland”. It’s a beautiful, old church hidden in the woods, and the live room is essentially the sanctuary of the church, with stained glass all round which creates this beautiful lighting. It was really nice for recording vocals and getting the right atmosphere; we had all the pro-gear but it wasn’t the total clinical studio vibe we were all afraid of. What do you think that Chris brought to your sound? He just bought that knowledge of how to make a great record. I wouldn’t say Chris’ way is the only way for us to do a record – there are still a lot of things that Chester did, and does, that I really love – but it was great experience, and a great learning process. Thematically, where were you looking for inspiration this time round? We made it very organically, just letting the songs flow out of us. I feel like the record pulls from all our previous records, and explores a lot of the themes we’ve touched on in the past, like love and loss, and childhood memories. There’s definitely a confirmation of self in there too. "Spirit", for example, is about confirming that our ideas and our ideals are still important, whether or not they’re accepted by the majority, but also that your way is not necessarily the right way. I think we just wanted to create great songs. You know, usually we’re striving to write great albums, but with this one we really just wanted to focus on each individual song and then put the record together. Is that where the title “Singles” comes from? An “all killer no filler” type of statement? Basically, yeah. I can be a bit of a d*ck when it comes to naming songs and albums, because I’m like, “I write all the words, just let me name the album!” But I can’t remember who came up with the title; it was just one of those things that rolled off the tongue, and represented what we were aiming for. I wanted to write an entire album of jams, you know? Like, no fooling around: let’s just do it hard. Each song is strong in its own right, but equally there’s something very unified about them all, taken together. We’re a very humble band but I think you can just hear a certain confidence in this record. We’ve actually got a long-running joke in the band which is that we don’t write b-sides; it’s all solid gold. It’s like, why write a song if it’s no good? So the title is reflective of that joke, but also a statement of the confidence we have in what we do. I still think that "Like the Moon" and "Light House" are two of the strongest songs on the record, and at the same time they’re probably going to be the most overlooked songs on the album. "Light House" is probably the most emotion-drenched track on the record, with probably one of the strongest messages that we’ve ever put to music. It’s an important song and it was an important inclusion, because it’s really, really heavy for me. Oh, man. Well, the song describes me telling someone – whom I very much love – about my thoughts of suicide. I was expressing that there was a darkness in me that I didn’t really understand, and asking them if they could help me be better because they saw the world in a different way. And that person told me: “You’re saying you’re this person, but I know who you are. You’re not that person. You say you have this darkness, but you’re such a beautiful person. You’re the one that helps me feel better and gives me light in my life.” I’m getting emotional talking about it. But there’s a lot to be positive about right now, what with the new record deal and the album release. Do you feel like you’ve turned a corner? Signing with 4AD definitely feels like a step up, but it’s just the start of the next era. Success isn’t something that you have and then it’s done. I want to be sure that we’re always on our toes and that we stay humble to our roots and our style, and don’t forget where we came from. If this record is a success, it would be very easy to work with another even fancier producer in a fancy studio and think that we’ve got it all figured out. But really, I just hope that the album will allow us to continue to eat and tour, and pay our bills in the houses we never live in. And to be able to share that with our friends and family in whatever way possible. To me, I’ve already achieved success in my life: I’ve been able to live off of making music for the last five years, and done all that with my two best friends. We’re really, really lucky to have the support of people who love our music and come to the shows and buy our records, and give us that power to continue to create music. I’m happier in my life than I have been in a long time.